From time to time people have posted Kickstarter projects that they have contributed to. There have been a few instances where I heard about a project that I would have been interested in had I known about it while it was ongoing. So I am starting this thread for people to post any Kickstarter projects that they think the community may be interested in. I saw this one today: http://www.kickstarter.com/projects/840448191/tabletop-connect-3d-virtual-tabletop. If this actually delivers, it'll be head and shoulders above the current programs designed to perform a similar function. $35 gets you the GM edition (which would let you host as well as play in others' games) with some miniatures and terrain sets. More are included at higher reward levels, but I can only assume they'd be available for sale later on. It looks like it was just opened for backing yesterday. Who's interested in that virtual tabletop game? It sounds interesting, but iffy on getting it. I've reviewed a number of products for M&M from Vigilance Press in the past and the quality of the writing, artwork, and layout has been stellar. I'm also going to $15 back. Thanks for mentioning this, Jameson. You're welcome, I figured there'd be some interest around here given the genre. The fact that I feel pretty confident about VP's ability to deliver a quality product only made it easier. Goddammit! Monte Cook Games just launched a new Kickstarter for their second game using the "Cypher System" (which powers Numenera). It's called: The Strange and no shocker it looks amazballs. It's got $10k $20k after less than an hour, with a primary goal of $60k which I would not be surprised if it met before this evening. Funded ... I'm predicting this will hit around 300k $650k in the end. 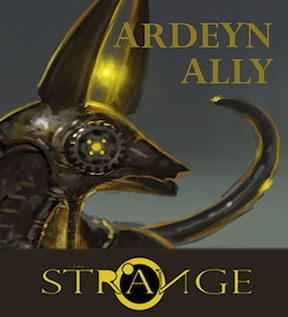 The Strange is now over $200k and has funded not only the Core and Player's Books but also an Adventure Book (like Numenera's Devil's Spine) a bestiary, and a book on additional Recursions (other parallel/alternate worlds within the Strange). Next stretch goal is a character option book, which mostly likely would be 100% usable for Numenera as well, since descriptors and foci are almost always going to be compatible. OK, I swear this is the last time I will pimp the KS for The Strange, after this anything you hear from me will be reviews and the like. With about 3 days left there is a little less than $3000 to the next stretch goal (another book for the line). I have no doubt we'll hit it and see what lies beyond but if you were waiting to back, time is running out! Also, a fiction "anthology" (is it really an anthology if it's just 2 pieces?) was just released on Drive Thru RPG. 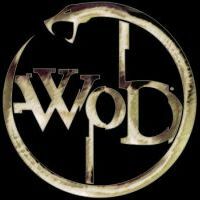 Much like Tales from the Ninth World this new one, The Paradox Room, will help to set the tone and genre of The Strange. BUT WAIT, if you visit the KS page and look at the newest update (#35 just in case they put another out in the meantime) you will find a special link to get these stories FREE! Check it out if you are on the fence, maybe it will push you into a last minute pledge, or maybe not, either way you can't argue with the price! I thought some people on here may get a kick out of this one. My friend just launched his Kickstarter campaign any tips or pointers?